Guerilla Archaeology will be performing at the Secret Forum, Wilderness Festival at 20.25 Friday 7th August. Come and listen to us as we draw on thousands of years of experience to bring out the beast in you and breathe new life into Shamanic ideals. British Shamans have been with us since the earliest times and many of the themes of their lives remain relevant today. 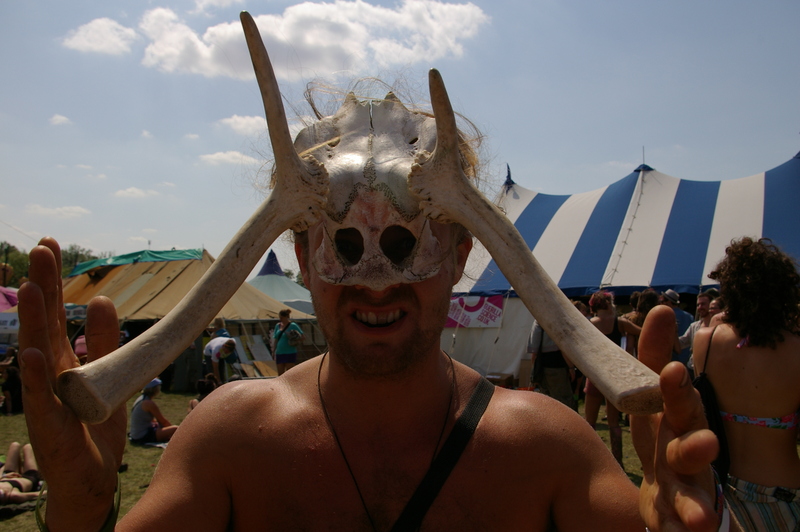 You have three opportunities to come to the Secret Forum Classroom and get down and dirty with the past by dressing up a Shaman, exploring shamanic burial, painting shamanic art and creating your own antler head dress (to wear to the masked ball?). Horny Man or Stag Knight? Times are Friday 16.20, Saturday 13.00 and Sunday 11.00. Wilderness is held at Cornbury Park, near to the Wychwood Forest an area with evidence of occupation from 9000 years ago in the form of a midden, containing a range of deer and other wild animals. These lie beneath the nearby Neolithic long barrow at Ascott-Under-Wychwood. This tomb made up of a passage, with a couple of chambers all covered by a large stone mound, was built in the 38th century BC and contained the remains of 21 people, including an individual with a flint arrow in their back. 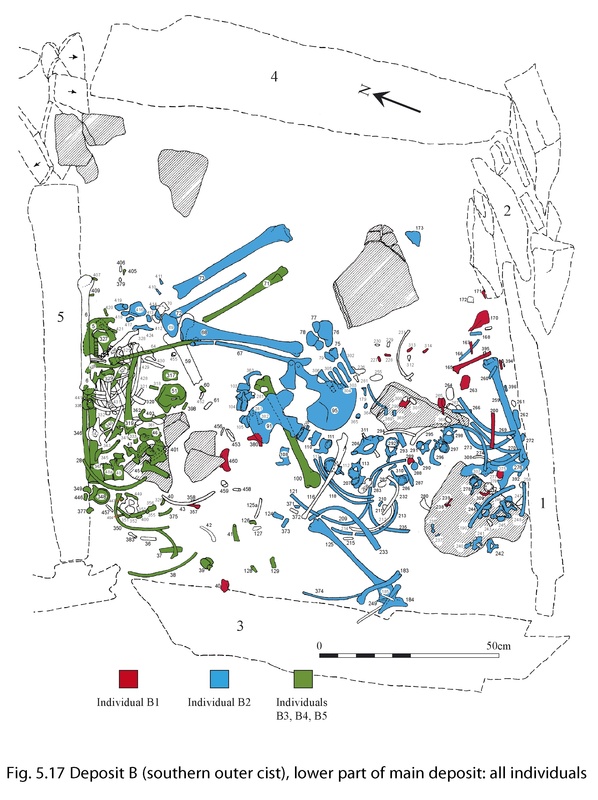 This male, labelled B2 in the diagram below, died of their injuries. The arrow probably pierced a major artery and damaged the right kidney. This injury would have led to substantial blood loss, loss of consciousness and death in a relatively short time (Knusel 2007). An attempt may have been made to remove the arrow. They were later buried in one of the four chambers within the tomb, along with other individuals. 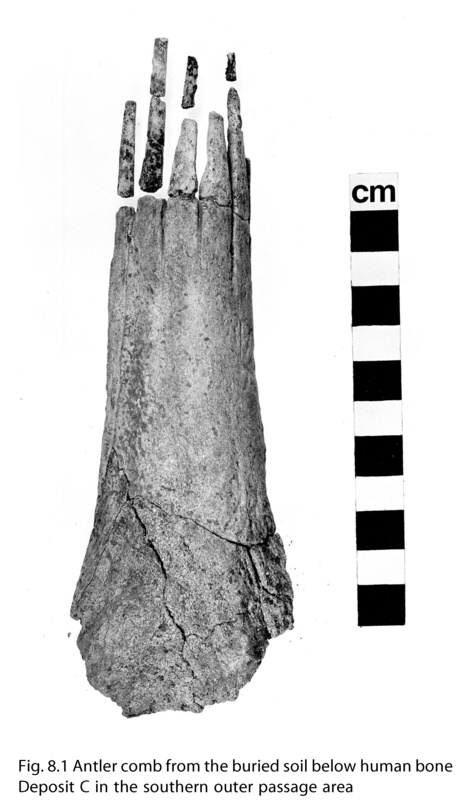 As well as deer remains lying beneath the tomb, an antler long toothed comb was found within the passage. These are though to be associated with hide/hair processing or for grooming cattle! The importance of cattle is also demonstrated in the complete skulls found lying along the midline of the tomb. The name Wychwood (Hwiccewudu) derives from the Saxon name for the Hwicce tribe that inhabited the region at this time. The Wychwood Forest is thought to have supplied wood for the Droitwich salt industry for which the Hwicce princes held a monopoly. In the reign of Ethelred II (978-1016) a royal hunting lodge was established at Woodstock and later the wood itself was was taken control of by William 1st in 1086. As as a royal forest the king had hunting rights over the whole area, even if he did not own it. Later, in 1337, a deer park was established at Cornbury with the Exchequer asked to pay for fencing. Because of their cost and exclusivity, deer parks were status symbols. Also since deer were almost all kept within exclusive hunting reserves used as aristocratic playgrounds, there was no legitimate market for venison. Thus the ability to eat venison or give it to others was also a status symbol. Consequently, many deer parks were maintained for the supply of venison, rather than hunting the deer. The hunting of deer was a highly ritual process in Britain. From 1066 onwards the Normans created an aristocratic hunting culture that included ritual butchery of a freshly killed deer, called the ‘unmaking‘. This precise ‘ceremony’ saw different parts of the deer carcass gifted to particular individuals: the lord receiving the haunches, the shoulders divided between the forester and t the best huntsman. 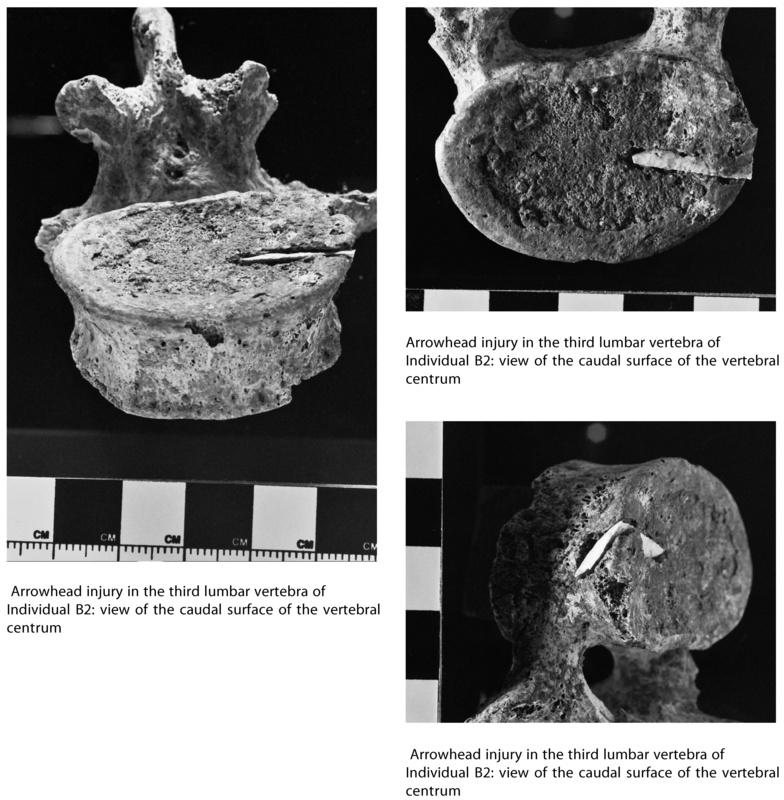 The pelvis was left at the kill-site as an offering to the crow! Traditions of this type are wide spread in hunting societies around the world. Other nearby parks housed more exotic animals. Henry I (1100-1135) created the park at Woodstock which was used to house his collection of wild animals from many parts of the world. The chronicler, William of Malmesbury refers to lions, leopards, lynxes, camels and even a porcupine. More recently the Wychwood itself was given special scientific status, in part due to the large number of ancient medicinal plants surviving within it.